Many mediator ethics codes, including the widely used Model Standards of Conduct for Mediators (American Bar Association Sections of Dispute Resolution and Litigation, Society for Professionals in Dispute Resolution and American Arbitration Association) in its section on "Quality of the Process," refer to the mediator terminating or postponing the session if a party cannot participate due to "physical or mental incapacity." Limiting the concept of mediation capacity to the area of disability is stigmatizing to people with disabilities and may lead to the exclusion of persons with disabilities who, with or without accommodation, could fully participate. This type of restriction has been used, for example, to exclude unfairly persons on particular medications (e.g., Prozac), with particular diagnosis, as well as other persons with psychiatric disabilities who do have the capacity to participate. 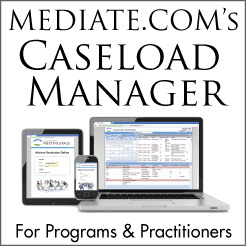 Mediation practitioners recognize that "capacity" to mediate, or mediation readiness, is not just a disability issue. Capacity to mediate is an aspect of self-determination that extends to a continuum of potential obstacles to full participation by a broad range of persons. Limiting the scope of mediation capacity neglects the needs of persons without disabilities who need accommodations or adjustments to enable their participation in the process. Difficulties in participation may be experienced, for example, by persons who do not speak the language, elderly persons who may have trouble processing information or who fatigue easily, parents who are distracted because they need to care for their children during a session, and persons who have different cultural communication modes from that of the dominant culture, among others. A mediator shall withdraw from a mediation or postpone a session if the mediation is being used to further illegal conduct. 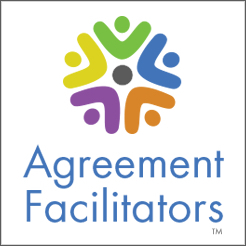 When a party appears to have difficulty comprehending the process, issues, or settlement options, or difficulty participating actively in the mediation process, the mediator should explore with the party the circumstances and potential accommodations, modifications, or adjustments that would enable the party's comprehension and/or participation. If no accommodation, modification, or adjustment can reasonably be provided that enables the person's participation to a reasonable level, the mediator should postpone or terminate the session. * A mediator shall withdraw from a mediation or postpone a session if the mediation is being used to further illegal conduct, or if a party is unable to participate due to drug, alcohol, or other physical or mental incapacity.